Special Call for Proceedings from the International Conference on Mathematical Advances and Applications (ICOMAA 2019), Yıldız Technical University in İstanbul, Türkiye, between 3-5 May, 2019. Submission Deadline: 10 August 2019. Submission Deadline: 1 December 2019. Special Call for Proceedings from the 8TH INTERNATIONAL EURASIAN CONFERENCE ON MATHEMATICAL SCIENCES AND APPLICATIONS BAKU - AZERBAIJAN, 27 - 30 August 2019. Submission Deadline: 1 October 2018. 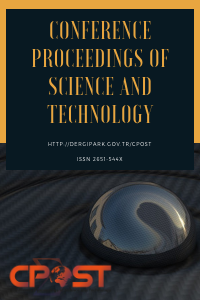 The published proceedings in CPOST are licensed under a Creative Commons Attribution-NonCommercial 4.0 International License.